Over the last couple of months I have been working closely with Jim Bailey of Grindhouse Games on an ultra-cool new project called JUNK. It is a setting of post-apocalyptic robots with a cool retro design. Jim was pretty specific in the area of the concept he was looking for which made the fabrication process very smooth. Since these were mechanical characters I was really looking forward to trying a whole new working method involving styrene plastic masters. I fabricated all of the parts from plastic card and rod and had low-temp silicon vulcan molds made for the parts. This allowed me to facilitate the robots as looking manufactured and ensured all of the parts were identical. Then I was able to pose and outfit them as individual characters according to Jim's direction. The whole process was incredibly fun and really took me back to when I was ten and would sit in my room kit-bashing custom spaceship designs. This is probably the next best thing to working in the ILM model shop that I could hope for. 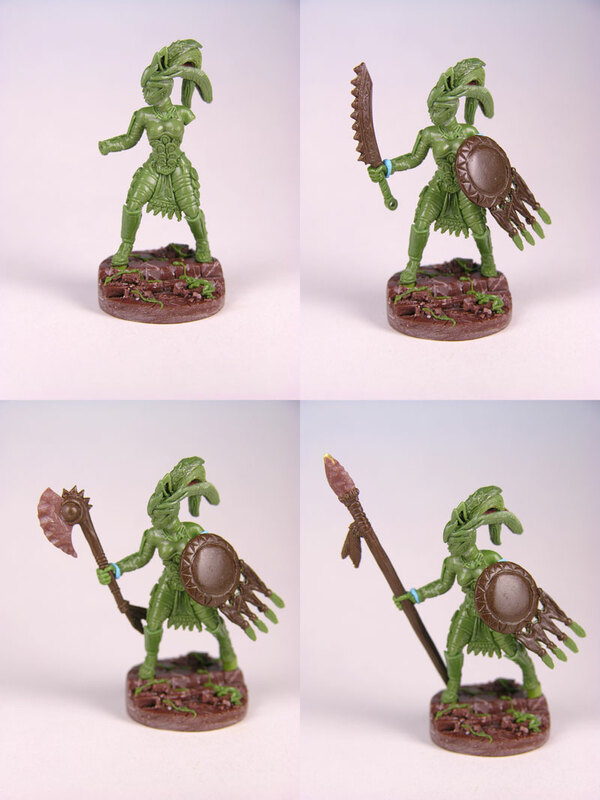 We have a bunch more of the guys planned along with other really cool designs. 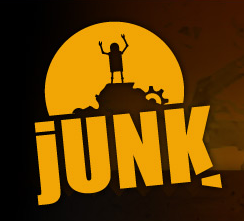 To get the initial run check out the link to the Junk page. 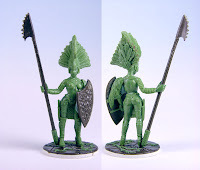 Cavalcade Wargames has posted two new figures that I sculpted for Dragonblood's Axibalan Empire. 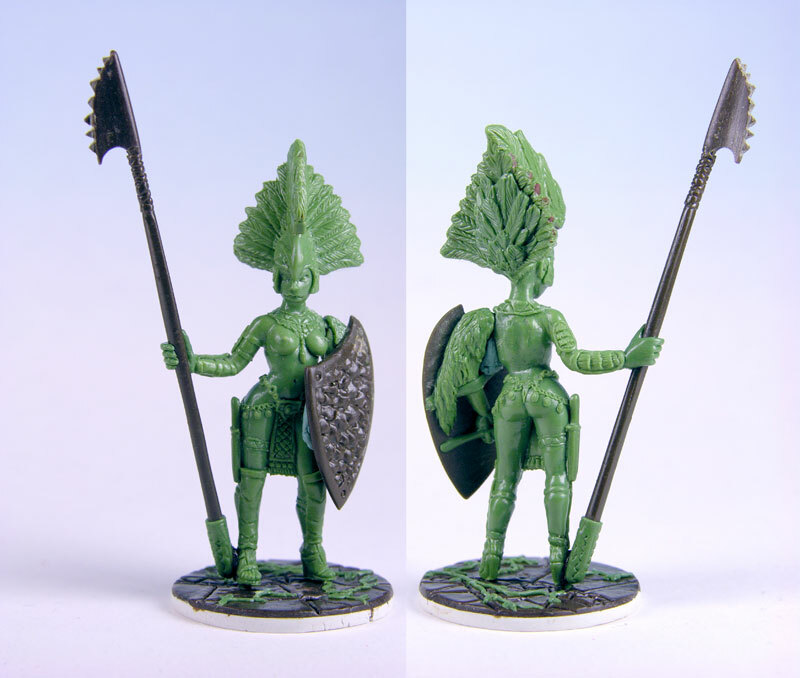 One is the Amatzl Warrior with Polearm and comes with a scenic 30mm base insert. The second is the Amatzl Captain supplied with scenic base insert and two additional weapon options. The figures are available directly from their website. 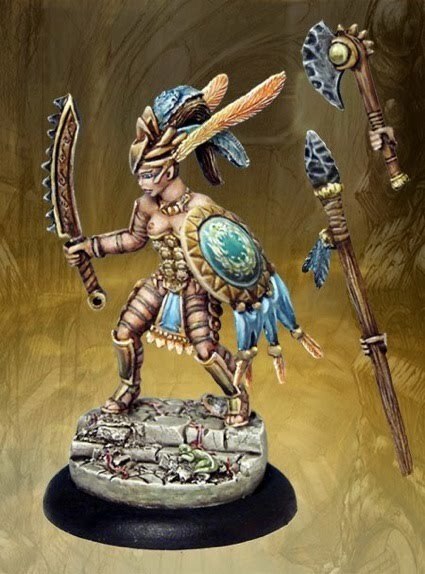 The warrior with the polearm either individually or in special pack of six figures for making a formidable unit.